Is it a bear or a dog you're looking at? Just to be on the safe side - check out our list of 15 dog breeds that look awfully much like bears and discover these adorable dogs! What do bears and dogs have in common, you ask yourself? 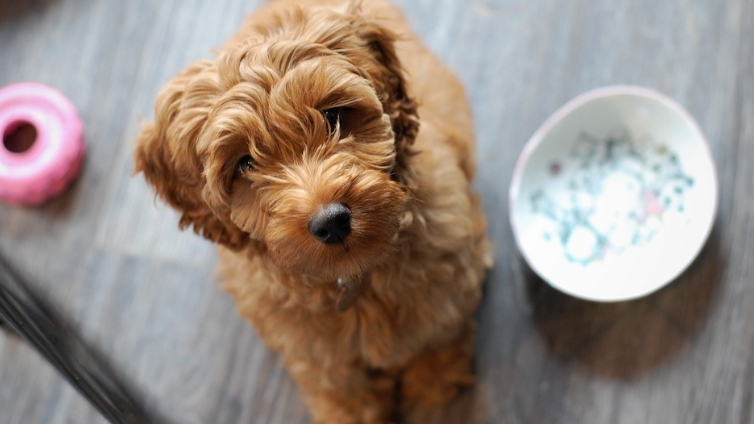 Sometimes more than you think, especially when it comes to these 15 dog breeds! This old breed, originating from the Flanders region, is famous for being excellent for guarding and as a watchdog, but also for being a loving family dog. Full grown Bouvier des Flandres is a giant, strong, black long haired and bearded dog with a bark that can freeze the bones. A Bouvier puppy, on the other hand, looks like a cute, tiny bear rather than a future dog. 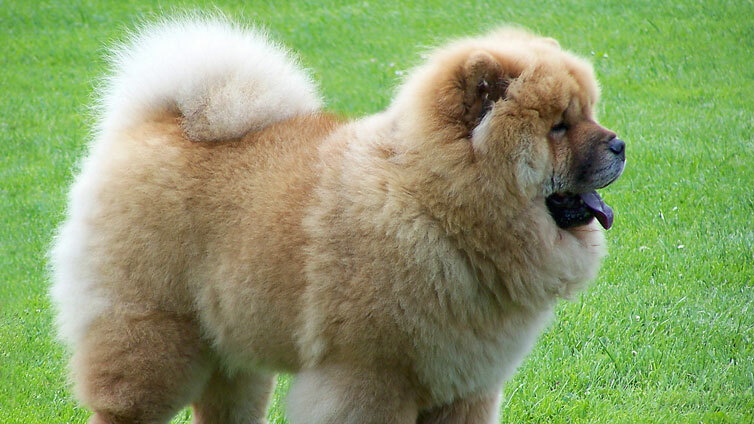 Unique in so many ways, the Chinese Chow Chow, aside from having a blue tongue and distinctive head and coat features, looks like a small bear in many stages of its life. Chow puppies look like bear babies, especially the black ones, and the bear-likeness remain even with full-grown adult Chow Chow dogs. The only creature a full grown, groomed poodle can resemble is maybe another poodle. 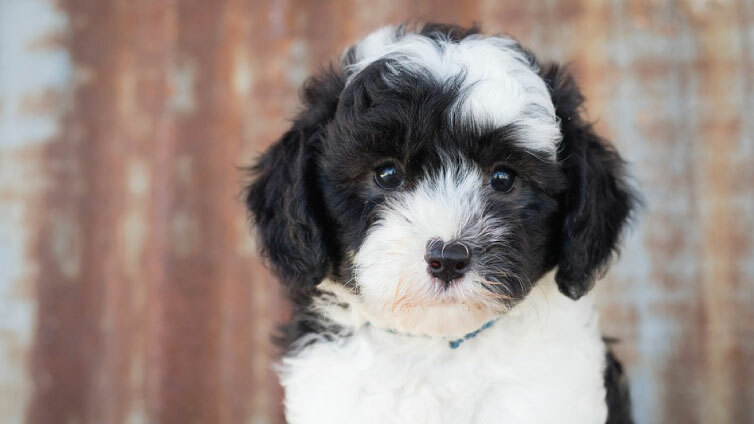 Poodle puppies, however, are a whole different story. 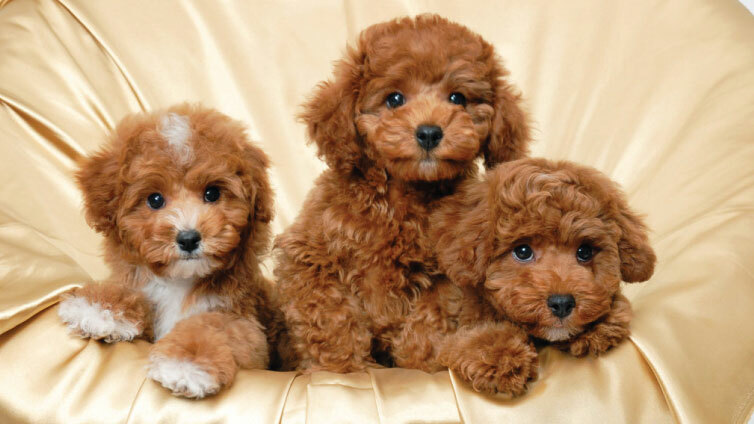 Poodle puppies, especially the apricot ones, resemble vintage teddy-bears so much that you can’t be sure which one is a poodle and which one a toy. The Eurasier, or the Eurasian dog, is a member of the Spitz family, originating from Germany. This middle-sized dog makes an excellent family pet, but it stays reserved towards strangers. Although adult Eurasiers look like dogs and nothing else, Eurasier puppies, especially the dark ones (all colors are permitted by the standard) look like tiny bears. Before their ears straighten up and they get those distinctive fox-like facial features, Akita puppies look pretty much like baby bears when they’re still tiny fur balls. The legs are far from long and gracious they will later become, so the bear-like appearance is enriched with goofy, bearlike walking all young puppies share. Moreover, Akita Inu is often the choice of busy people because they tolerate being alone during the day. Pomeranians can hardly be viewed as dogs, when it comes to appearance, although they are most definitely dogs when it comes to character. However, Pomeranians tend to look like small, fluffy versions of baby bears, especially as puppies, both appearance and attitude-wise, as well as by bear-like movement while very young. A Keeshond mixed with an American Eskimo Spitz gives, as the photo illustrates – a baby bear! 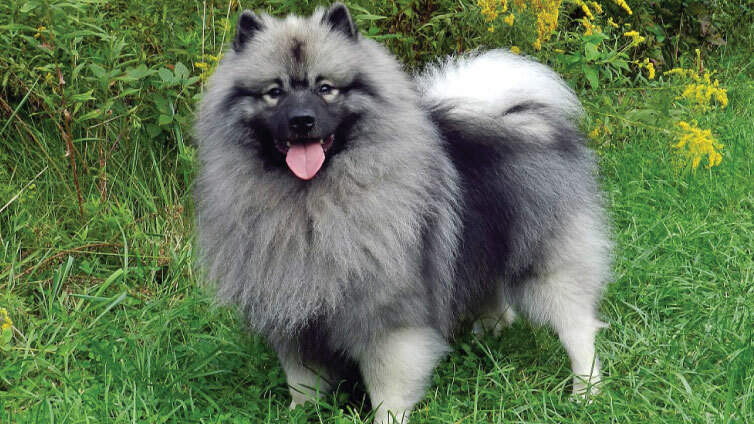 Neither of these two breeds actually reminds of a bear as the dog reaches adult age (actually, they both look like a fox a bit), but at the young fur ball age, a Keeshond Eskimo baby can easily pass as a lost baby bear. Commonly bred as a guard and watchdog in Eastern Europe and Russia, Caucasian Ovcharka is a giant dog breed, originally used to defend the farms and herds from bears and wolfs in Caucasian Mountains. Adult Ovcharkas are huge, grayish mid-length hair dogs, and their chubby, fluffy puppies look just like little bears. Before they get their overgrown polar-fox looks, Samoyed puppies don’t have as pointy faces and are generally much chubbier and fur ball-like. Looking more like hairy snowflakes than actual dogs, Samoyed puppies resemble the polar-bear babies, with only dark eyes and nose to tell which side of the pup is in question. Given the size, an adult Tibetan Mastiff seen from a distance could pass for a bear. But, when it comes to their fluffiness and chunkiness as puppies – these are the characteristics they share with baby bears. Those huge paws indicate just how gigantic the puppy will grow to be, but they also add up nicely to the general bear-baby appearance. 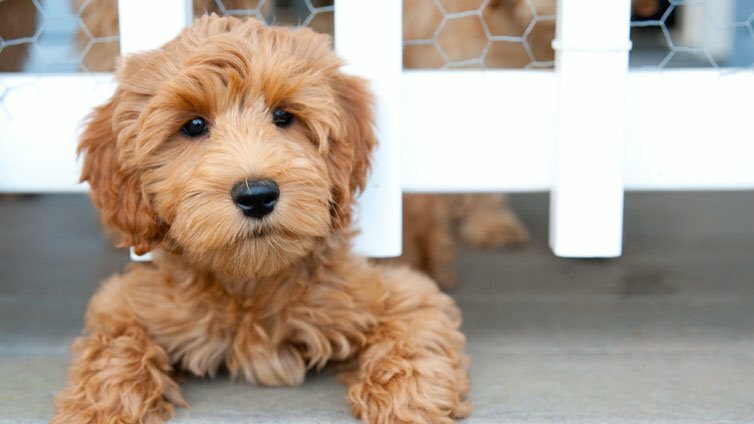 Incredibly popular for both great character and overall cuteness, Golden Doodle pups took over the internet when someone noticed the resemblance between golden doodle pups and retro teddy-bear toys. Really, look at him – the color, those round black eyes – was the teddy bear designed after a puppy maybe? This particular puppy literally looks like a baby-black bear. Such an amazing mix of these three breeds involved can’t turn out bad, right? Semi-grown pointy ears, round eyes, chubby cheeks, and the color really leads one to believe that what he is seeing is not a puppy but a baby bear that got confused and tends to bark. As they get older, Alaskan malamutes get more and more wolf-like. But, at some point of their puppy days, Alaskan Malamute babies, especially the chubbier ones, seems to have some bear traits. Given all the fluffiness, their huge paws and cheeks, these puppies really look as if they will grow up to be elegant, white and grey bears. Alaskan malamutes are often compared to Siberian husky. Sarplaninac puppies, the breed used as guard and herding dogs, protecting herds from wolfs and bears, could easily be mistaken for small bears. All fluffy, chubby and grayish – they really give the impression that they might be lost bear babies. Huge paws that are characteristic for all giant breeds add up to the picture as well. Huge paws, fluffy coat, round dark eyes, chubby cheeks, and general chubbiness – a Newfoundlander puppy can pass for a black bear baby with no trouble at all. Adult Newies, given how big they are, seen seated from the certain distance could also confuse one into running in the opposite direction or playing dead as well!